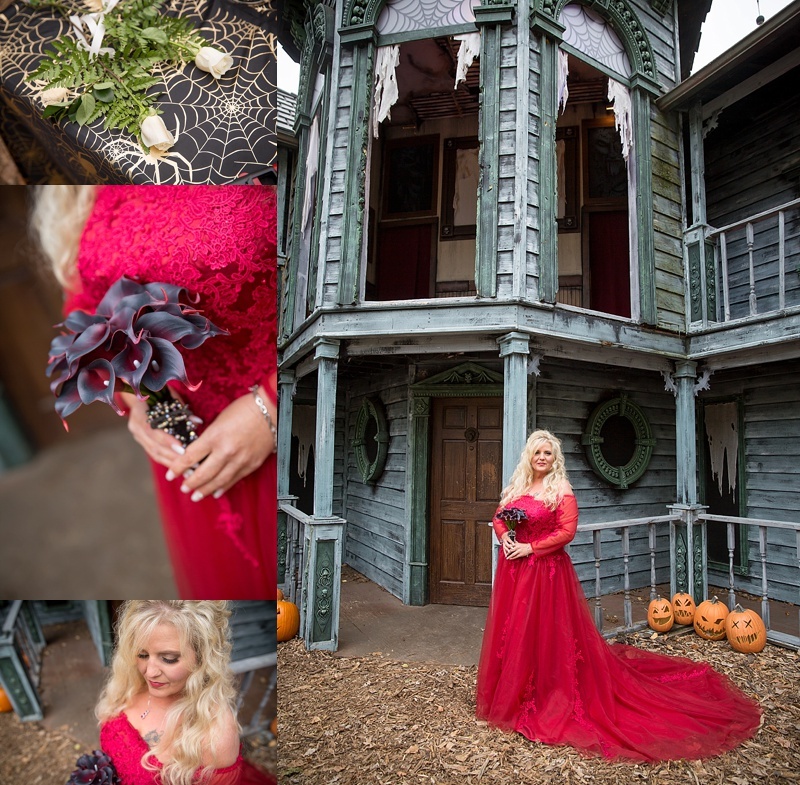 I thought it was a fitting time to share with you my first ever Halloween wedding. It’s funny to think back to my first conversations with Steve. I’m fairly certain he said something along the lines of ‘I’m not sure if you’d be interested in this type of thing.’ Little did Steve know, at the time, exactly how excited I was! Don’t get me wrong, I LOVE traditional weddings, I love the luxury, the fancy, the pretty, the white dress, black tuxedo, but I’m a sucker for different. Especially when it means so much to the couple. I am the biggest believer of you do you for your wedding day. Thankfully it is the 21st century and weddings are customizable to your little heart’s desire. I say you get to do what you want on your wedding day, and that is exactly what Steve and Deb did. To them Halloween is a bigger holiday than even Christmas. Yes, you read that correctly. After our initial consult Deb, Steve, and I began the planning for their wedding photos. I loved every piece of detail they put into their wedding day. We planned out which photos would be taken before and after their face painting and down to every last detail photography wise. 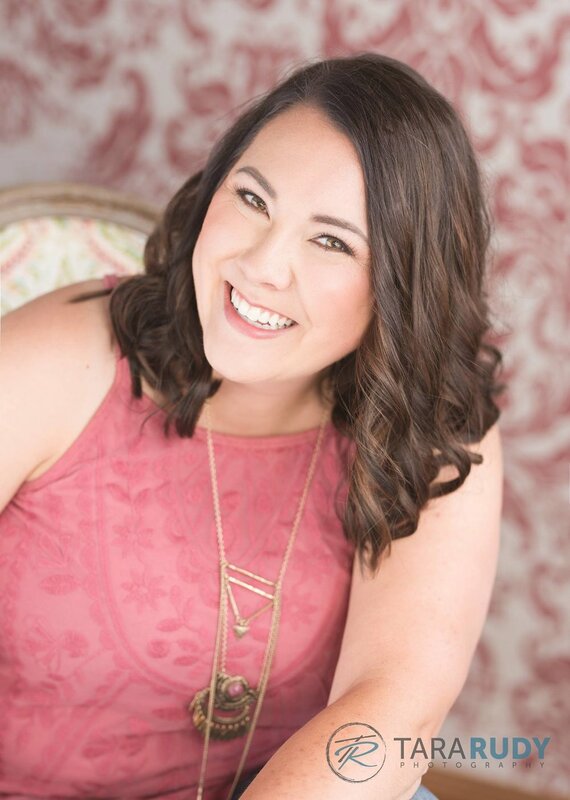 We curated their list of family portraits so no one would be forgotten and even planned out some of more fun shots. 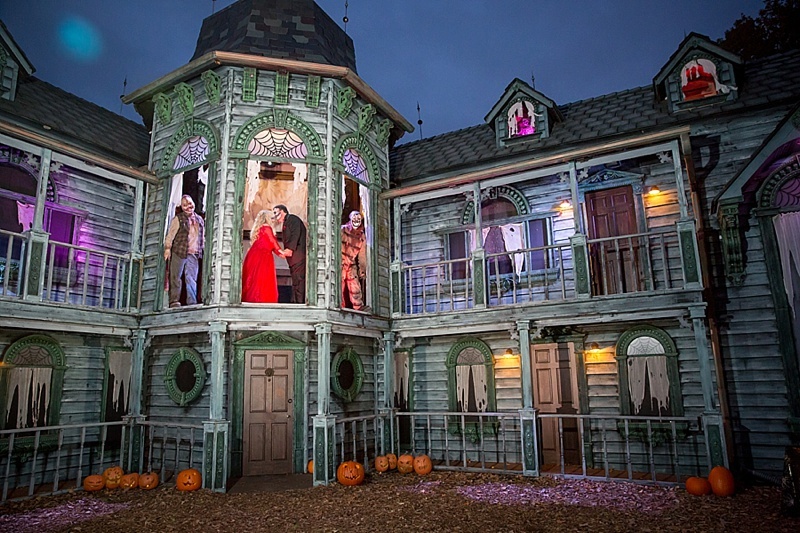 Deb and Steve basically gave me creative freedom when it came to lighting their after dark photos with the Terror on the Fox Haunted House and the actors. I’m not going to lie it was fun to play, and I honestly didn’t want to stop. 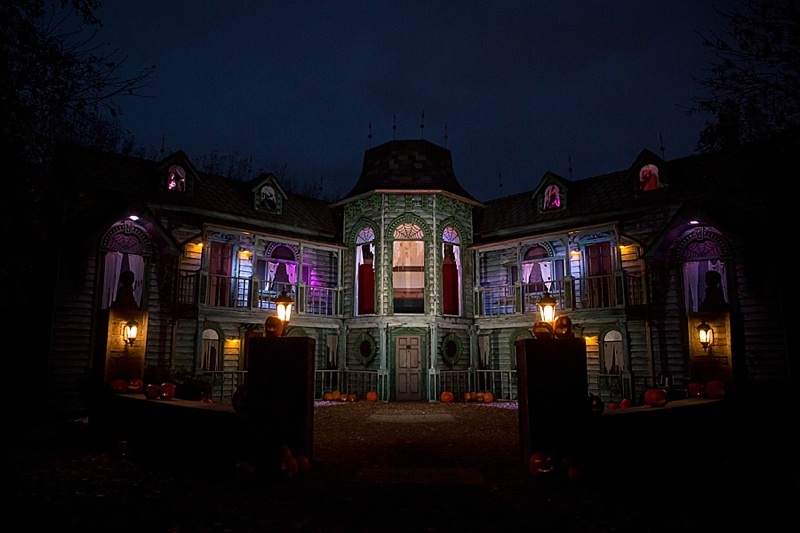 Haunt by Misty Keasler served perfectly as their guest book. Guests signed the pages of the book with their well wishes and names. A very fitting keepsake for their wedding. 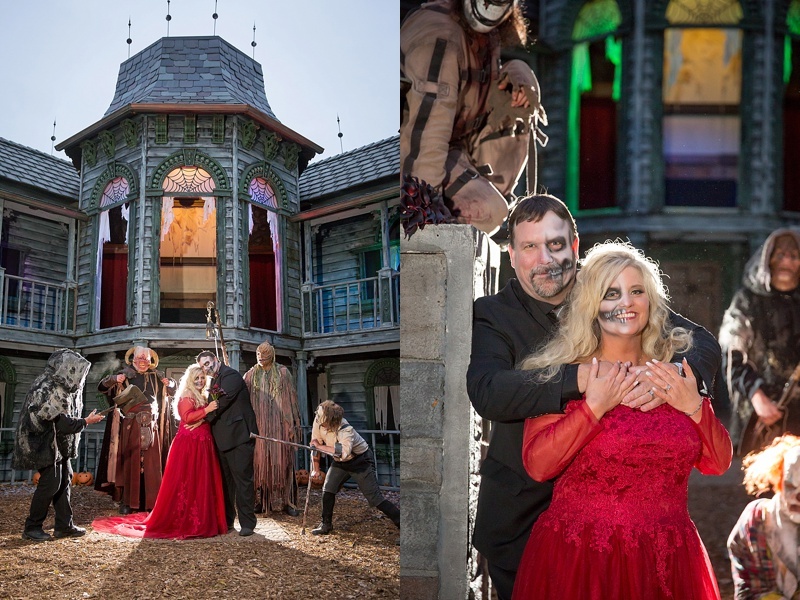 We began their wedding day with their Bride and Groom portraits prior to having their skeleton makeup applied. 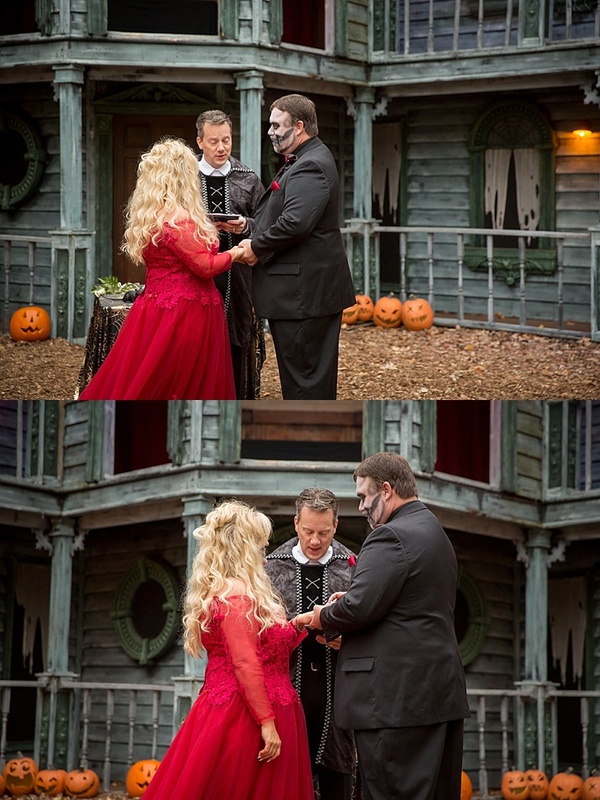 After their portraits we went through the haunted house to the makeup trailer, where Steve and Deb got half their faces painted like a skeleton and shortly after it was time for the ceremony. The ceremony was short, sweet, and simple. Steve and Debbie got married surrounded by their closest friends and family…and a news crew. LOL! A crew from Channel 5 news in Green Bay was there to film the entire thing! Click here if you want to see the video from the news story. 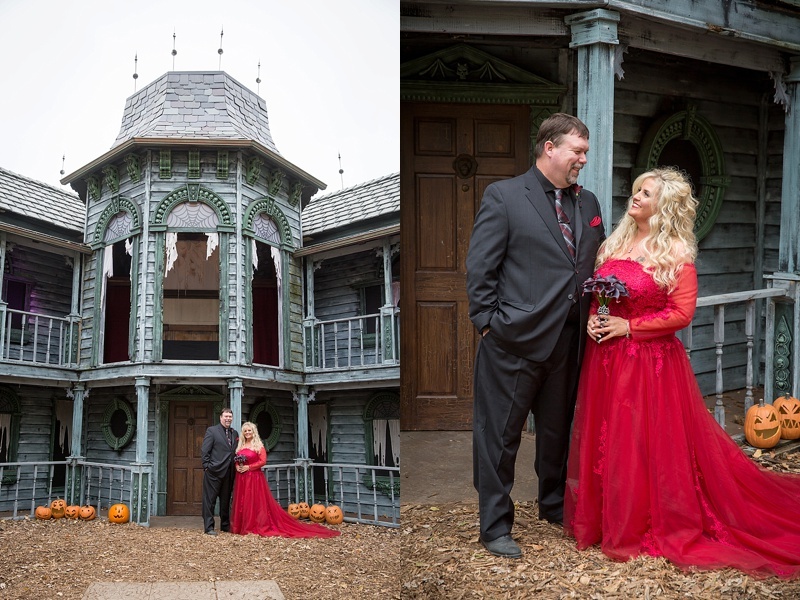 After the ceremony we finished up Steve & Debbie’s family portraits with and without the haunted house actors. 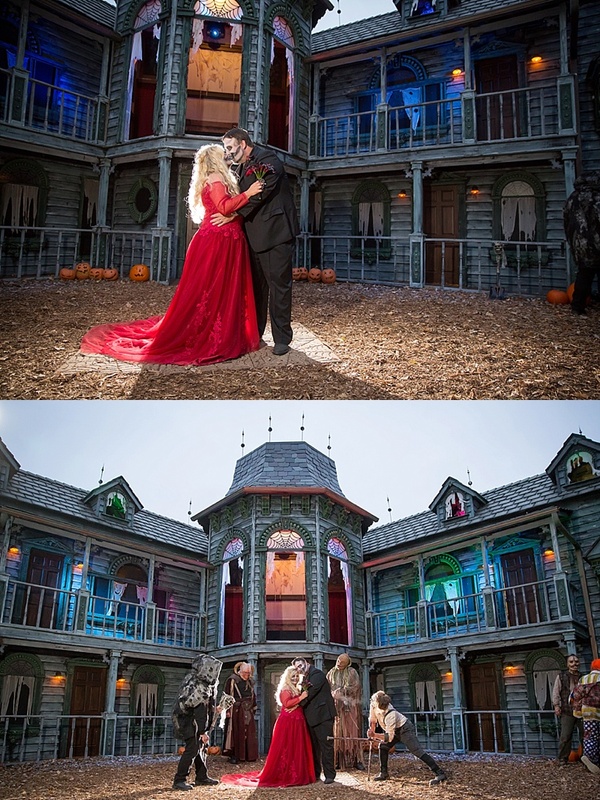 Then it was time to finish up their Bride and Groom portraits, which only got more fun as the sun went down and the lights of the haunted house came on, complete with the iconic haunted house music.